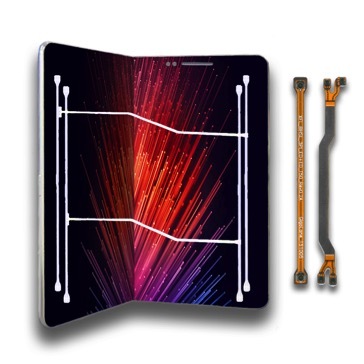 Flexible, 600k+ Bending, ~28Ghz Ready At ~50% Cost Efficiency, Flexible-PCB Based RF Connectivity Solution For 5G, Foldable Design Smart Device. Gigalane, a South Korea based leading RF connectivity solution provider, introduced flexible RF connectivity solution for 5G, foldable phone at Mobile World Congress 2019. It is expected to be the perfect RF solution for foldable design which will be the key to mobile innovation on the momentum of MWC. Smartphone industry came to a halt for some time due to absence of innovation, however with the rise of innovative designs themed around foldables, it is deemed to be once again revolutionized. Samsung Electronics and Huawei are already scheduled to release foldable phones and other smartphone vendors uniquely designed foldable phones will also hit the market within this year. Until now, coaxial RF cables have been used to connect RF signals between internal antenna and board of smartphones. The basic design of this cable has not been changed for nearly ten years. Manufacturers had no choice, but to use this cable even though it is thick, vulnerable to bending and has high assembly cost to guarantee device’s RF performance. Evidently, it has always been an obstacle when innovating design for fordable and wearables. 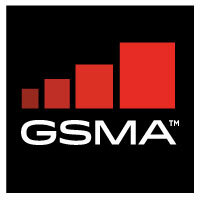 Gigalane has been working with world’s leading smartphone manufacturers to research and produce mobile RF connectivity for the past decade. After years of research and with more than 150 patents, Gigalane is prepared to unveil FRC -FPCB RF-interconnect Component- solution using flexible PCB (printed circuit board) which will perfectly replace the conventional RF coaxial cables. Gigalane’s newly introduced FRC solution’s features are as follows. Gigalane’s FRC is acknowledged for world’s highest level of bending durability after passing more than 600K bending tests. Moreover, it has been recognized for its greatness in reliability through thermal shock test, moisture test, and salt water test. Optimizing RF performance for 5G devices requires RF tuning at device-level as well as component performance. Gigalane’s FRC is guaranteed up to 28Ghz and can handle complex signals at once. Optimum RF performance of the device can be guaranteed by combination of Gigalane’s FRC and exclusive antennal tuning technology. Compared to conventional flexible PCB solution which uses LCP material, Gigalane’s FRC can save material costs up to 50% by using PI material. This proprietary technology can be the optimal solution for cost reduction without any RF performance degradation of 5G devices. Gigalane’s FRC solutions can make the device production process simpler. The FRC's connector-less connection, antenna-integrated multiline design can reduce the manual cable assembly work of the device manufacturing process. In addition, replacing cables inside the device with FRC can expand the battery space, and enable the bezelless design, ultra-compact and wearable design. “Gigalane started mass production of FRC products in 2010, for the first time in the world. At the time, mobile device’s RF design was relatively simple, and the foldable design was not ready. That’s why the FRC market did not expand significantly. However, in the 5G era, it is a completely different story. Gigalane has acquired ~150 FRC related patents to correspond to 5G MIMO technology and design innovation such as foldable, which made the FRC solution more advanced. Except for Gigalae, there is probably one more in the world that can produce this product with proprietary technology. However only Gigalane’s FRC is the only solution that meets both performance and price target.” Mr. Kang said. Gigalane co., ltd. (KOSDAQ: 049080) was established with high-frequency bandwidth RF connectivity technology exceeding 40GHz. As the country’s only company with high-frequency RF capability, it grew by leading the market in smartphones, network infrastructure and defense aerospace RF connectivity. Gigalane serves major smart device manufacturer, network operators and network infrastructure customers across the world and operates in South Korea, China and Vietnam.